Probably the best hostel I've ever been in my life. I've never seen such clean rooms and bathrooms. All together with the friendliest and the most helpful staff. Location was perfect, in the heart of the city. Defenetly recommend this hostel! 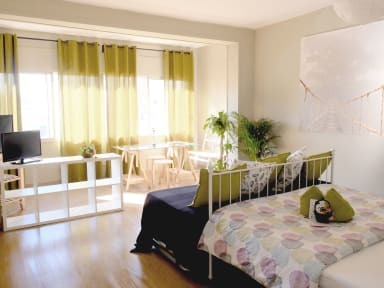 Great staff, beautiful house very close to la Rambla, everything clean. It made our stay even better!! Great place, positive atmosphere, one of my favourite hostels.